A unique system of organization was used by Cyrus II [ii] (Footnote) and the members of that Battalion who followed him from India through his progression of human lives on Earth. In part, it enabled them to build the largest empire in the history of the Earth to that date. The Domain Search Party who located him traveled around the Earth searching for the lost Battalion for several thousand years. The party consisted of 900 officers of The Domain, divided into teams of 300 each. One team searched the land, another team search the oceans and the third team searched the space surrounding Earth. There are many reports made in various human civilizations concerning their activities, which humans did not understand, of course. The Domain Search Party devised a wide variety of electronic detection devices needed to track the electronic signature or wavelength of each of the missing members of the Battalion. Some were used in space, others on land, and special devices were invented to detect IS-BEs under water. The device is literally a tool designed to detect the presence of life, which is an IS-BE. This was a large electronic screen generator designed to permeate wide areas. To the ancient humans on Earth it resembled a sort of tree, since is consists of an interwoven lattice of electronic field generators and receivers. The electronic field detects the presence of IS-BEs, whether the IS-BE is occupying a body, or if they are outside a body. On land, The Domain Search Party members were referred to as “Annunaki” [viii] (Footnote) by the Sumerians, and “Nephilim”, in the Bible. Of course, their true mission and activities were never disclosed to homo sapiens. Their activities have been purposefully disguised. 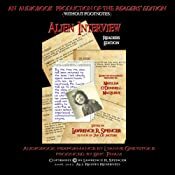 Therefore, the human stories and legends about the Annunaki, and the other members of The Domain Search Party have not been understood and were badly misinterpreted. In the absence of complete and accurate data, anyone observing a phenomenon will assume or hypothesize explanations in an attempt to make sense of the data. Therefore, although mythology and history may be based on factual events, they are likewise full of misunderstood and misinterpreted evaluations of the data, and embellished with assumptions, theories and hypotheses which are false. The space unit of The Domain Expeditionary Force are shown flying in a “Winged-Disc”. [ix] (Footnote) This is an allusion to the spiritual power of the IS-BEs, as well as to the space craft used by The Domain Search Party. Cyrus the Great (c. 590 BC or 576 — August 529 BC or 530 BC), also known as Cyrus II of Persia and Cyrus the Elder, was a Persian emperor. He was the founder of the Persian Empire under the Achaemenid dynasty. The empire expanded under his rule, eventually conquering most of Southwest Asia and much of Central Asia, from Egypt and the Hellespont in the west to the Indus River in the east, to create the largest state the world had yet seen. During his twenty-nine year reign, Cyrus fought against some of the greatest states of his time, including the Median Empire, the Lydian Empire, and the Neo-Babylonian Empire. Cyrus did not venture into Egypt, as he himself died in battle, fighting the Massagetae along the Syr Darya in August 530 BC. He was succeeded by his son, Cambyses II, who managed to conquer Egypt during his short rule. Beyond his nation, Cyrus left a lasting legacy on Jewish religion (through his Edict of Restoration), politics, and military strategy, as well as on both Eastern and Western civilization. The only known example of his religious policy is his treatment of the Jews in Babylon. The Bible records that a remnant of the Jewish population returned to the Promised Land from Babylon, following an edict from Cyrus to rebuild the temple. This edict is fully reproduced in the Book of Ezra. As a result of Cyrus’ policies, the Jews honored him as a dignified and righteous king. He is the only Gentile to be designated as a messiah, a divinely-appointed king, in the Tanakh (Isaiah 45:1-6). Some contemporary Muslim scholars have suggested that the Qur’anic figure of Dhul-Qarnayn is Cyrus the Great. This theory was proposed by Sunni scholar Abul Kalam Azad and endorsed by Shi’a scholars Allameh Tabatabaei, in his Tafsir al-Mizan and Makarem Shirazi and Sunni scholar Abul Ala Maududi. During his reign, Cyrus maintained control over a vast region of conquered kingdoms, achieved partly through retaining and expanding Median satrapies. Cyrus’ conquests began a new era in the age of empire building, where a vast superstate, comprising many dozens of countries, races, religions, and languages, were ruled under a single administration headed by a central government. “During his reign, Cyrus maintained control over a vast region of conquered kingdoms, achieved partly through retaining and expanding Median satrapies. Further organization of newly conquered territories into provinces ruled by vassal kings called satraps, was continued by Cyrus’ successor Darius the Great. Cyrus’ empire demanded only tribute and conscripts from many parts of the realm. Cyrus was distinguished equally as a statesman and as a soldier. By pursuing a policy of generosity instead of repression, and by favoring local religions, he was able to make his newly conquered subjects into enthusiastic supporters. Due in part to the political infrastructure he created, the Achaemenid empire endured long after his demise. “Trees of life appear in folklore, culture and fiction, often relating to immortality. These often hold cultural and religious significance to the peoples for whom they appear. 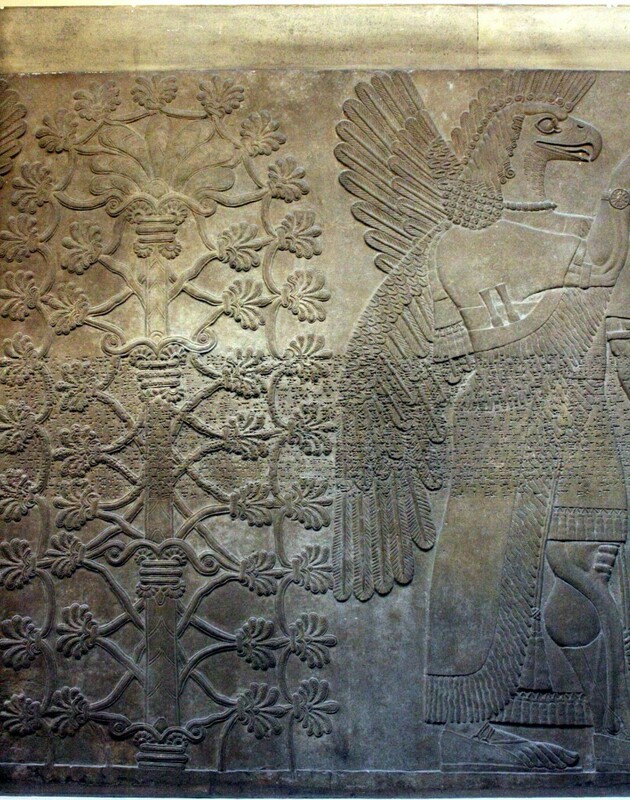 The Sumerian (or Persian) Tree of Life was represented by a series of nodes and criss-crossing lines. It was an important religious symbol among these peoples, often attended to by Eagle Headed Gods & Priests, or the King himself. In Chinese mythology a carving of a Tree of Life depicts a phoenix and a dragon – in Chinese mythology the dragon often represents immortality. There is also the Taoist story of a tree that produces a peach every three thousand years. The one who eats the fruit receives immortality. An archaeological discovery in the 1990s was of a sacrificial pit at Sanxingdui in Sechuan, China. Dating from about 1200 BCE, it contained 3 bronze trees, one of them 4 meters high. At the base was a dragon, and fruit hanging from the lower branches. At the top is a strange bird-like (phoenix) creature with claws. Also from Sechuan, from the late Han dynasty (c 25 – 220 CE) is another tree of life. The ceramic base is guarded by a horned beast with wings. The leaves of the tree are coins and people. In Egyptian mythology, in the Ennead system of Heliopolis, the first couple, apart from Shu & Tefnut (moisture & dryness) and Geb & Nuit (earth & sky), are Isis & Osiris. They were said to have emerged from the acacia tree of Saosis, which the Egyptians considered the tree of life, referring to it as the “tree in which life and death are enclosed”. The Egyptian’s Holy Sycamore also stood on the threshold of life and death, connecting the two worlds. In Germanic paganism, trees played a prominent role, appearing in various aspects of surviving texts and possibly in the name of gods. The tree of life appears in Norse religion as Yggdrasil, the world tree, a massive tree with extensive lore surrounding it. Perhaps related to the Yggdrasil, accounts have survived of Germanic Tribes honouring sacred trees within their societies. In Norse Mythology it is the golden apples from Iðunn’s tree that provides immortality for the gods. A Tree of Life, in the form of ten interconnected nodes, is an important part of the Kabbalah. As such, it resembles the ten Sephirot. The Tree of Life appears in the Book of Mormon in a revelation to Lehi (see 1 Nephi 8:10-12). It is symbolic of the love of God (see 1 Nephi 11:21-23), and sometimes understood as salvation and post-mortal existence. Etz Chaim, Hebrew for “Tree of Life”, is a common term used in Judaism. The expression, found in the Book of Proverbs, is figuratively applied to the Torah itself. Among pre-Columbian Mesoamerican cultures, the concept of “world trees” is a prevalent motif in Mesoamerican mythical cosmologies and iconography. World trees embodied the four cardinal directions, which represented also the fourfold nature of a central world tree, a symbolic axis mundi connecting the planes of the Underworld and the sky with that of the terrestrial world. Depictions of world trees, both in their directional and central aspects, are found in the art and mythological traditions of cultures such as the Maya, Aztec, Izapan, Mixtec, Olmec, and others, dating to at least the Mid/Late Formative periods of Mesoamerican chronology. Directional world trees are also associated with the four Year bearers in Mesoamerican calendars, and the directional colors and deities. World trees are frequently depicted with birds in their branches, and their roots extending into earth or water (sometimes atop a “water-monster”, symbolic of the underworld). The central world tree has also been interpreted as a representation of the band of the Milky Way. Fragment of a bronze helmet from Urartu, with the “Tree of Life” depicted. In ancient Armrenia around 13th to 6th century BC, the Tree of Life was a religious symbol, drawn onto the exterior walls of fortresses and carved on the armour of warriors. The branches of the tree were equally divided on the right and left sides of the stem, with each branch having one leaf, and one leaf on the apex of the tree. Servants (some winged) stood on each side of the tree with one of their hands up as if they are taking care of it. This tree can be found on numerous Urartu artifacts, such as paintings on the walls of the Erebuni fortress in Yerevan, Armenia. The symbolism of the tree is mentioned in the 135th hymn of the 10th book of Rig-Veda, and in the 15th chapter of Bhagavad-gita (1-4). In the Japanese religion of Shinto, trees were marked with sacred paper symbolizing lightning bolts, as trees were thought to be sacred. This was propagated by the fact that after they passed (died), ancestors and animals were often portrayed as branches on the tree. The Book of One Thousand and One Nights has a story, ‘The Tale of Buluqiya’, in which the hero searches for immortality and finds a paradise with jewel-encrusted trees. Nearby is a Fountain of Youth guarded by Al-Khidr. Unable to defeat the guard, Buluqiya has to return empty-handed. The Epic of Gilgamesh is a similar quest for immortality. In Mesopotamian mythology, Etana searches for a ‘plant of birth’ to provide him with a son. This has a solid provenance of antiquity, being found in cylinder seals from Akkad (2390 – 2249 BCE). One of the earliest forms of ancient Greek religion has its origins associated with tree cults. In mystical traditions of world religions, sacred texts are read for metaphorical content concerning the relationship between states of mind and the external experience of reality. As such, the tree is a manifestation/causal symbol – the Tree of Life representing the coveted state of eternal aliveness or fulfillment, not immortality of the body or soul. In such a state, physical death (which cannot be overcome) is nevertheless a choice, and direct experience of the perfect goodness/divine reality/god is not only possible, but ever present. “The faravahar or farohar (transliteration varies) is one of the best-known symbols of Zoroastrianism. 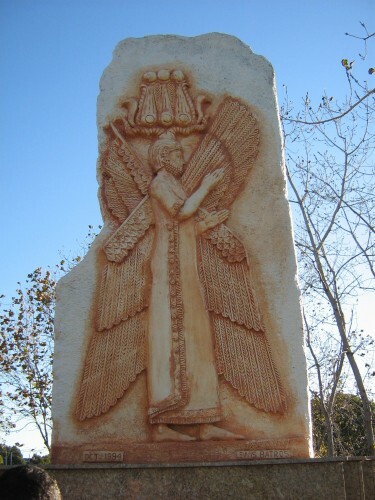 The winged disc has a long history in the art and culture of the ancient Near and Middle East. Historically, the symbol is influenced by the “winged sun” hieroglyph appearing on Bronze Age royal seals. While the symbol is currently thought to represent a Fravashi (c. a guardian angel) and from which it derives its name, what it represented in the minds of those who adapted it from earlier Mesopotamian and Egyptian reliefs is unclear. Because the symbol first appears on royal inscriptions, it is also thought to represent the ‘Divine Royal Glory’ (khvarenah), or the Fravashi of the king, or represented the divine mandate that was the foundation of a king’s authority. This relationship between the name of the symbol and the class of divine entities reflects the current belief that the symbol represents a Fravashi. However, there is no physical description of the Fravashis in the Avesta and in Avestan the entities are grammatically feminine. “Oannes was the name given by the Babylonian writer Berossus in the 3rd century BC to a mythical being who taught mankind wisdom. Berossus describes Oannes as having the body of a fish but underneath the figure of a man. He is described as dwelling in the Persian Gulf, and rising out of the waters in the daytime and furnishing mankind instruction in writing, the arts and the various sciences. Dolphins have long played a role in human culture. Dolphins are common in Greek mythology and there are many coins from the time which feature a man or boy riding on the back of a dolphin. The Ancient Greeks treated them with welcome; a ship spotting dolphins riding in their wake was considered a good omen for a smooth voyage. Dolphins also seem to have been important to the Minoans, judging by artistic evidence from the ruined palace at Knossos. In Hindu mythology, the Ganges River Dolphin is associated with Ganga, the deity of the Ganges river. 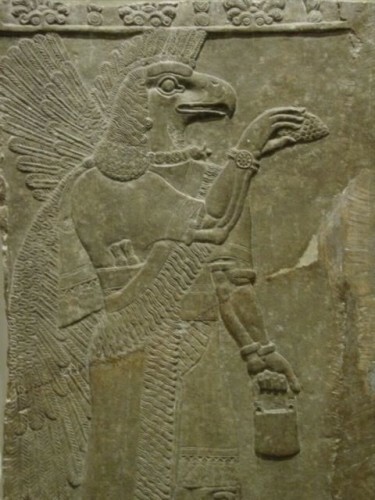 “The Anunnaki are a group of Sumerian and Akkadian deities related to, and in some cases overlapping with, the Annuna (the ‘Fifty Great Gods’) and the Igigi (minor gods), meaning something to the effect of ‘those of royal blood’ or ‘princely offspring’ or “heaven and earth”. 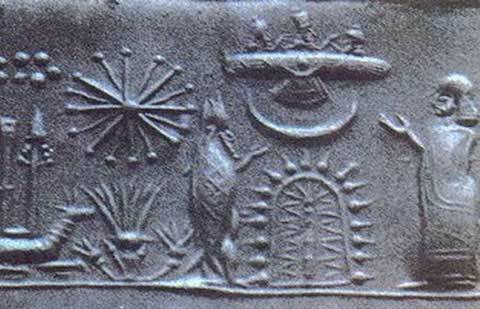 “The winged sun is a symbol associated with divinity, royalty and power in the Ancient Near East (Egypt, Mesopotamia, Anatolia, and Persia). The symbol has also been found in the records of ancient cultures residing in various regions of South America as well as Australia. In Ancient Egypt, the symbol is attested from the Old Kingdom (Sneferu, 26th century BC), often flanked on either side with a uraeus. In early Egyptian religion, the symbol Behedeti represented Horus of Edfu, later identified with Ra-Harachte. It is sometimes depicted on the neck of Apis, the bull of Ptah. As time passed (according to interpretation) all of the subordinated gods of Egypt were considered to be aspects of the sun god, including e.g. Khepri. Other Pyramid civilizations were set up by the “Old Empire” on Earth. These were established in Babylon, Egypt, China and Mesoamerica. The Mesopotamian area provided service facilities, communication stations, space ports, and stone quarry operations for these false civilizations. Ptah was the name given to the first in a succession of administrators from the “Old Empire” who represented themselves to the Earth population as “divine” rulers. Ptah’s importance may be understood when one learns that the word “Egypt” is a Greek corruption of the phrase “Het-Ka-Ptah,” or “House of the Spirit of Ptah”. Ptah, was nick-named “The Developer”. He was a construction engineer. His high priest was given the title ‘Great Leader of Craftsmen’. Ptah was also the god of reincarnation in Egypt. He originated the “opening of the mouth ceremony” which was performed by priests at funerals to “release souls” from their corpses. 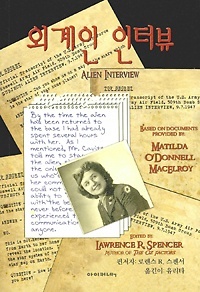 Of course, when the “souls” were released, they were captured, given amnesia, and returned to Earth again. 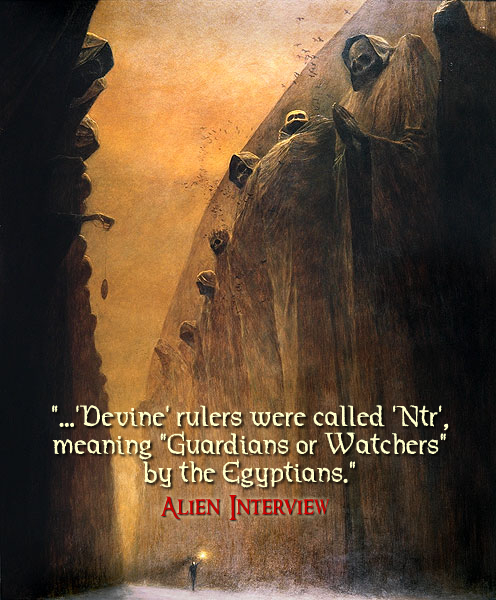 The so-called “Devine” rulers who followed Ptah on Earth were called “Ntr”, meaning “Guardians or Watchers” by the Egyptians. Their symbol was the Serpent, or Dragon which represented a secret priesthood of the “Old Empire” called the “Brothers of the Serpent”. “Old Empire” engineers used cutting tools of highly concentrated light waves to quickly carve and excavate stone blocks. [i] (Footnote) They also used force fields and space craft to lift and transport blocks of stone weighing hundred or thousands of tons each. The placement on the ground of some of these structures will be found to have geodetic or astronomical significance relative to various stars in this galactic region. The buildings are crude and impractical, compared to building standards on most planets. As an engineer of The Domain, I can attest that make-shift structures like these would never pass inspection on a planet in The Domain. Stone blocks such as those used in the pyramid civilizations can still be seen, partially excavated, in the stone quarries in the Middle East [ii] (Footnote) and elsewhere. Most of the structures were hastily built “props”, much like the false facades of a western town on the set of a motion picture. They appear to be real, and to have some use or value however, they have no value. They have no useful purpose. The pyramids and all of the other stone monuments erected by the “Old Empire” could be called “mystery monuments”. For what reason would anyone waste so many resources to construct so many useless buildings? To create a mysterious illusion. “A laser is an electronic-optical device that emits coherent light radiation. The term “laser” is an acronym for Light Amplification by Stimulated Emission of Radiation. A typical laser emits light in a narrow, low-divergence monochromatic (single-coloured, if the laser is operating in the visible spectrum), beam with a well-defined wavelength. In this way, laser light is in contrast to a light source such as the incandescent light bulb, which emits light over a wide area and over a wide spectrum of wavelengths. The first working laser was demonstrated in May 1960 by Theodore Maiman at Hughes Research Laboratories. Recently, lasers have become a multi-billion dollar industry. The most widespread use of lasers is in optical storage devices such as compact disc and DVD players, in which the laser (a few millimeters in size) scans the surface of the disc. Other common applications of lasers are bar code readers, laser printers and laser pointers. In industry, lasers are used for cutting steel and other metals and for inscribing patterns (such as the letters on computer keyboards). Lasers are also commonly used in various fields in science, especially spectroscopy, typically because of their well-defined wavelength or short pulse duration in the case of pulsed lasers. Lasers are used by the military for range finding, target identification and illumination for weapons delivery. Lasers used in medicine are used for internal surgery and cosmetic applications. “The great mystery of the ruins of Baalbek, and indeed one of the greatest mysteries of the ancient world, concerns the massive foundation stones beneath the Roman Temple of Jupiter. The courtyard of the Jupiter temple is situated upon a platform, called the Grand Terrace, which consists of a huge outer wall and a filling of massive stones. The lower courses of the outer wall are formed of huge, finely crafted and precisely positioned blocks. They range in size from thirty to thirty three feet in length, fourteen feet in height and ten feet in depth, and weigh approximately 450 tons each. Nine of these blocks are visible on the north side of the temple, nine on the south, and six on the west (others may exist but archaeological excavations have thus far not dug beneath all the sections of the Grand Terrace). Above the six blocks on the western side are three even larger stones, called the Trilithon, whose weight exceeds 1000 tons each. These great stones vary in size between sixty-three and sixty-five feet in length, with a height of fourteen feet six inches and a depth of twelve feet. Another even larger stone lies in a limestone quarry a quarter of a mile from the Baalbek complex. Weighing an estimated 1200 tons, it is sixty-nine feet by sixteen feet by thirteen feet ten inches, making it the single largest piece of stonework ever crafted in the world. Called the Hajar el Gouble, the Stone of the South, or the Hajar el Hibla, the Stone of the Pregnant Woman, it lays at a raised angle with the lowest part of its base still attached to the quarry rock as though it were almost ready to be cut free and transported to its presumed location next to the other stones of the Trilithon. Why these stones are such an enigma to contemporary scientists, both engineers and archaeologists alike, is that their method of quarrying, transportation and precision placement is beyond the technological ability of any known ancient or modern builders. Various ‘scholars’, uncomfortable with the notion that ancient cultures might have developed knowledge superior to modern science, have decided that the massive Baalbek stones were laboriously dragged from the nearby quarries to the temple site. While carved images in the temples of Egypt and Mesopotamia do indeed give evidence of this method of block transportation – using ropes, wooden rollers and thousands of laborers – the dragged blocks are known to have been only 1/10th the size and weight of the Baalbek stones and to have been moved along flat surfaces with wide movement paths. The route to the site of Baalbek, however, is up hill, over rough and winding terrain, and there is no evidence whatsoever of a flat hauling surface having been created in ancient times. “According to Airl, there was a running battle between the “Old Empire” forces and The Domain until about 1235 AD, when The Domain forces finally destroyed the last of the space craft of the “Old Empire” force in this area. The Domain Expeditionary Force lost many of its own ships in this area during that time also. About 1,000 years later the “Old Empire” base was discovered by accident in the spring of 1914 AD. The discovery was made when the body of the Archduke of Austria, [i] (Footnote) was “taken over” by an officer of The Domain Expeditionary Force. This officer, who was stationed in the asteroid belt, was sent to Earth on a routine mission to gather reconnaissance. 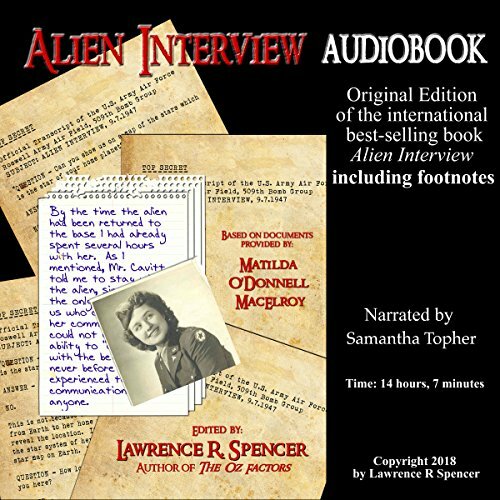 The purpose of this “take over” was to use the body as a “disguise” through which to infiltrate human society in order to gather information about current events on Earth. The officer, as an IS-BE, having greater power than the being inhabiting the body of the Archduke, simply “pushed” the being out and took over control of the body. However, this officer did not realize how much the Hapsburgs were hated by feuding factions in the country, so he was caught off guard when the body of the Archduke was assassinated by a Bosnian student. The officer, or IS-BE, was suddenly “knocked out” of the body when it was shot by the assassin. Disoriented, the IS-BE inadvertently penetrated one of the “amnesia force screens” and was captured. 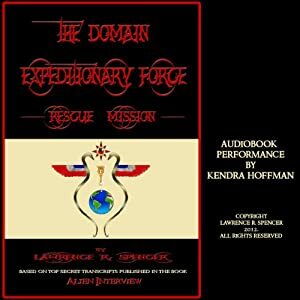 Eventually The Domain discovered that a wide area of space is monitored by an “electronic force field” [ii] (Footnote) which controls all of the IS-BEs in this end of the galaxy, including Earth. The electronic force screen is designed to detect IS-BEs and prevent them from leaving the area. If any IS-BE attempts to penetrate the force screen, it “captures” them in a kind of “electronic net”. The result is that the captured IS-BE is subjected to a very severe “brainwashing” treatment which erases the memory of the IS-BE. This process uses a tremendous electrical shock, just like Earth psychiatrists use “electric shock therapy” to erase the memory and personality of a “patient” and to make them more “cooperative”. On Earth this “therapy” uses only a few hundred volts of electricity. However, the electrical voltage [iv] (Footnote) used by the “Old Empire” operation against IS-BEs is on the order of magnitude of billions of volts! This tremendous shock completely wipes out all the memory of the IS-BE. The memory erasure is not just for one life or one body. It wipes out all of the accumulated experiences of a nearly infinite past, as well as the identity of the IS-BE! The shock is intended to make it impossible for the IS-BE to remember who they are, where they came from, their knowledge or skills, their memory of the past, and ability to function as a spiritual entity. They are overwhelmed into becoming a mindless, robotic non-entity. “Franz Ferdinand (December 18, 1863 – June 28, 1914) was an Archduke of Austria-Este, Prince Imperial of Austria and Prince Royal of Hungary and Bohemia, and from 1896 until his death, heir presumptive to the Austro-Hungarian throne. His assassination in Sarajevo precipitated the Austrian declaration of war. This caused countries allied with Austria-Hungary (the Central Powers) and countries allied with Serbia (the Entente Powers) to declare war on each other, starting World War I. In 1889, Franz Ferdinand’s life changed dramatically. His cousin Crown Prince Rudolf committed suicide at his hunting lodge in Mayerling, leaving Franz Ferdinand’s father, Archduke Karl Ludwig, as first in line to the throne. However his father renounced his succession rights a few days after the Crown Prince’s death. Henceforth, Franz Ferdinand was groomed to succeed. On June 28, 1914, at approximately 11:15 am, Franz Ferdinand and his wife were killed in Sarajevo, the capital of the Austro-Hungarian province of Bosnia and Herzegovina, by Gavrilo Princip, a member of Young Bosnia and one of several (a few) assassins organized by The Black Hand (Црна рука/Tsrna Ruka). The event, known as the Assassination in Sarajevo, triggered World War I.
Franz and Sophie had previously been attacked when a bomb was thrown at their car. It missed them, but many civilians were injured. Franz and Sophie both insisted on going to see all those injured at the hospital. As a result of this, Princip saw them and shot Sophie in the abdomen. Franz was shot in the jugular and was still alive when witnesses arrived to his aid, but it was too late; he died within minutes. “Originally a term coined by Michael Faraday to provide an intuitive paradigm, but theoretical construct, for the behavior of electromagnetic fields, the term force field refers to the lines of force one object (the “source object”) exerts on another object or a collection of other objects. An object might be a mass particle or an electric or magnetic charge, for example. The lines do not have to be straight, in the Euclidean geometry case, but may be curved. Faraday called these theoretical connections between objects lines of force because the objects are most directly connected to the source object along this line. A local Newtonian gravitational field near Earth ground typically consists of a uniform array of vectors pointing in one direction—downwards, towards the ground; its force field is represented by the Cartesian vector , where points in a direction away from the ground, and m refers to the mass, and g refers to the acceleration due to gravity. A global Gravitational field consists of a spherical array of vectors pointing towards the center of gravity. Its classical force field, in spherical coordinates, is represented by the vector, , which is just Newton’s Law of Gravity, with the radial unit vector pointing towards the origin of the sphere (center of the Earth). A conservative Electric field has an electric charge (or a smeared plum pudding of electric charges) as its source object. In the case of the point charges, the force field is represented by , where is the position vector that represents the straightest line between the source charge and the other charge. A static Magnetic field has a magnetic charge (a magnetic monopole or a charge distribution). “The story of electric shock began in 1938, when Italian psychiatrist Ugo Cerletti visited a Rome slaughterhouse to see what could be learned from the method that was employed to butcher hogs. In Cerletti’s own words, “As soon as the hogs were clamped by the [electric] tongs, they fell unconscious, stiffened, then after a few seconds they were shaken by convulsions…. During this period of unconsciousness (epileptic coma), the butcher stabbed and bled the animals without difficulty…. Ignoring the objections of his assistants, Cerletti increased the voltage and duration and fired again. With the “successful” electrically induced convulsion of his victim, Ugo Cerletti brought about the application of hog-slaughtering skills to humans, creating one of the most brutal techniques of psychiatry. Today Electroshock therapy (ECT) is most often used as a treatment for severe major depression which has not responded to other treatment, and is also used in the treatment of mania, catatonia, schizophrenia and other disorders. It first gained widespread use as a form of treatment in the 1940s and 50s. Today, an estimated 1 million people worldwide receive ECT every year, usually in a course of 6-12 treatments administered 2 or 3 times a week. Electroconvulsive therapy has “side-effects” which include confusion and memory loss for events around the time period of treatment. ECT have been shown to cause persistent memory loss. It is the effects of ECT on long-term memory that give rise to much of the concern surrounding its use. The acute effects of ECT include amnesia. “The general public may consider household mains circuits (100–250 V AC), which carry the highest voltages they normally encounter, to be high voltage. For example, an installer of heating, ventilation and air conditioning equipment may be licensed to install 24 Volt control circuits, but may not be permitted to connect the 240 volt power circuits of the equipment. Voltages over approximately 50 volts can usually cause dangerous amounts of current to flow through a human being touching two points of a circuit.